Rather than carrying a "quiver" with him on his travels, Shane prefers a board that can handle any condition and the DOSE is just that board. Most recently Shane has been riding more park than boat, so this board is made with more flex throughout than a typical boat board. This is especially true in the nose and tail of the board which features the liquid rail Flex Zones giving the board a more sensitive feel on rails. The bottom is clean without channels and features a single to triple concave off the tips which provides lots of speed around corners or into wakes. When Shane is riding behind that boat, he prefers to put on the quad fins that provide more stability and control. LF's Flex Track comes standard on this board, providing the ultimate control and feel while edging into the wake or tail pressing a flat bar. Full Wood CNC'd Profiled Core Liquid Force's wood core is constructed of CNC'd profiled wood and it gives you a more spring-loaded flex with rebound. Liquid Rails Elastomeric sidewalls deliver unsurpassed durability and strength for your endless cable park sessions. Grind Base The strongest base possible while maintaining the performance features of each finely tuned hull shape. Liquid Force's Grind base molds to the board's contours and provides solid protection all season long. FlexTrack LF created the industry's first flexible track. The track moves with you and the board as you twist into carves and press onto rails, creating an unmatched connection and making you and the board one! Combine the FlexTrack with a pair of Liquid Force 4D bindings and you'll have the ultimate setup for response. Vector Net Base/Pro Glass Layup. LF Slider Quad Fin Setup. 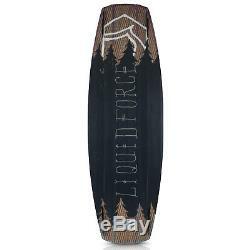 The item "Liquid Force 2018 Shane Dose Wakeboard" is in sale since Tuesday, August 14, 2018. 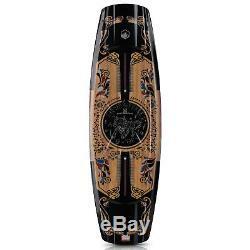 This item is in the category "Sporting Goods\Water Sports\Wakeboarding & Waterskiing\Wakeboards". The seller is "ambushboardingco" and is located in Kennesaw, Georgia. This item can be shipped to United States, Canada, United Kingdom, Denmark, Romania, Slovakia, Bulgaria, Czech republic, Finland, Hungary, Latvia, Lithuania, Malta, Estonia, Australia, Greece, Portugal, Cyprus, Slovenia, Japan, China, Sweden, South Korea, Indonesia, Taiwan, South africa, Thailand, Belgium, France, Hong Kong, Ireland, Netherlands, Poland, Spain, Italy, Germany, Austria, Israel, Mexico, New Zealand, Philippines, Singapore, Switzerland, Norway, Saudi arabia, Ukraine, United arab emirates, Qatar, Kuwait, Bahrain, Croatia, Malaysia, Brazil, Chile, Colombia, Costa rica, Panama, Trinidad and tobago, Guatemala, Honduras, Jamaica.